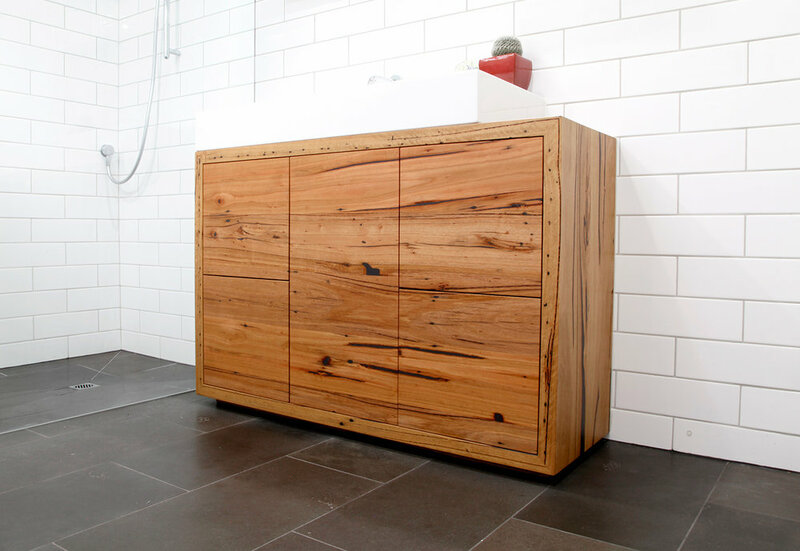 A solid timber vanity looks beautiful in any style of bathroom with its timeless aesthetic and natural warmth. The quality materials and solid construction of a Bombora bathroom vanity ensures that it will continue to look as good as new for many years to come. 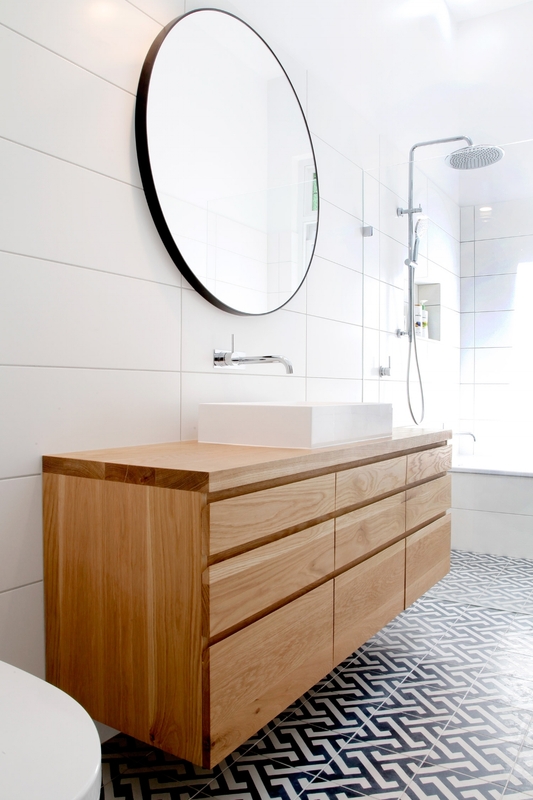 All of our timber vanities are made and designed to order to ensure that it is the perfect fit for your space. As well as our portfolio range of vanities, we can work with you to create a custom design that is completely unique to you. A custom vanity gives you the flexibility to create exactly what you want without any additional design costs. Create your perfect vanity with a configuration to easily access all of your things whilst also being able to choose the look, timber type and character level. As well as customising the outside of your vanity, we also create to order all of the internal structures. This way, you don't need to compromise on style or function to just to make the vanity fit your space and plumbing! We offer three different materials to create the internal aspects of your vanity. Solid timber, Birch ply and melamine. You can find out more information as well as see image on these three options via this link. Follow the link to find out what makes our vanities so special!